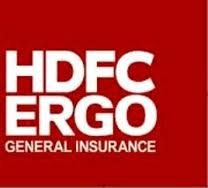 HDFC Ergo is a joint venture between a very large banking group in India named HDFC and a European insurance group named Ergo. Ergo is represented in more than 30 countries, and 50,000 people work full-time for the group, serving 40 million customers. Its Indian counterpart, Housing Development Finance Corporation Limited (HDFC) is an Indian financial conglomerate based in Mumbai, India. The client has more than 100 locations and wanted to audit its telecom bills for refunds and recoveries, as well as process those invoices on a monthly basis. Although the company had huge ERP systems and other expensive business-management technology systems deployed for various functions, telecom was a pain point for the senior vice-president and the telecom managers. The client did not have the right mix of human resources and tools to achieve total control over its telecom spending, and it wanted to check all telecom expenses for contractual compliance. Billing errors were piling up on accounts month after month because not enough time and expertise were available to resolve the errors. Telecom service agreements were not stored centrally and were scattered among the various offices and departments. Client had one person in each of the 22 circles involved in insignificant and unproductive telecom management activities.